Police confirmed the arrest of San Francisco rapper Anthony Forté , better known by his stage name, Rappin’ 4-Tay, following a Mission Local reader’s report that alleged Forté to be the suspect in an attempted home invasion on Wednesday morning. 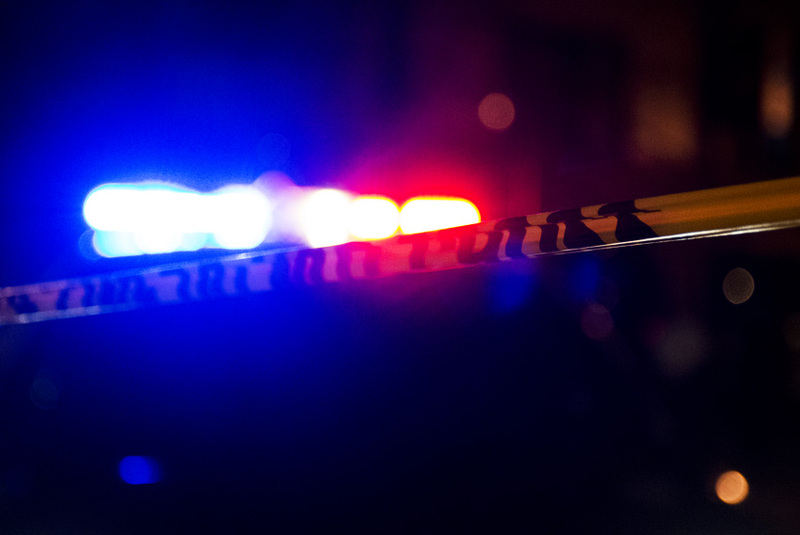 San Francisco Police Department spokesperson Robert Rueca said that police responded to a call at 5:18 p.m. on May 10 of “someone trying to break into someone’s house on a unit block of Woodward Street,” between Valencia and Mission streets at 14th Street. The caller gave a suspect description of the person attempting to break into the home, and police detained a man matching that description close by, said Rueca. That person was identified as 49-year-old Forté, a well-known rapper from San Francisco’s Fillmore District. Forté was arrested for an outstanding warrant in another county, said Rueca. A Mission Local reader who lives on the block where the arrest occurred said she witnessed the incident, and that another neighbor later informed her of the suspect’s identity. Forté, known for his 1994 hit “Playaz Club,” among others, appeared on records by Too $hort and Tupac Shakur. The rapper last appeared on March 17 at Casa Sorrento in Salinas, California, according to the website songkick.com. Crime is trauma and the county offers different services, which can be found here. Victims of violent crime can also contact the Trauma Recovery Center at UCSF. Sounds like a bunch of yuppies were happy to see an african american get arrested for something he probably didn’t even do. Good job you squares. Dude had a hit Rap ‘song’ in 1994. So he’s got to be pushing 50 now. I thought this article was surprisingly sympathetic. But kids attracted to the ‘thug/Rap life’ (as well as pro athlete life) need to understand that it’s only cool until you hit 30. Then you have another 30-60 years you have to live, and you need a game plan for that. Very few make the kind of money you need to support yourself that long. Of those that do, most don’t have the education & foresight needed to spend it wisely and make it last. There is nothing “cool” about getting busted for a petty crime like breaking & entering at 50. It’s tragic. But it’s also preventable. Go to school. Do your homework. Get a boring, productive, reliable *job* after you graduate. Note: I said nothing abut the guy’s race. (you went there) It sounds like the cops caught him pretty quick and the homeowners were witnesses so there is a good chance they got the right guy, but the cops still have to prove it. He’ll have his day in court. Sounds to me like you are in denial about the harsh implications of continuing to act like an impulsive child long after your parents have stopped looking out for you. You’d do well to learn from this guy’s example, rather than making excuses for him! Well put Mr Blank I think has time moves on we unfortunately will see a lot more of these stories has the thugs rappers and so called athletes crawl out from under a rock and finally have to deal with Reality of living in the Real World. Age doesnt seem to be too kind to any of the three temporary careers mentioned . Again great comment. Im Audi TTW USAF ret. Not sure where you get that from the article? I guess no more champagne for Mr. Forte. I knew Forte back when. Smart, good looking and talented. Hope he’s okay and not charged. This is how the media plays with less than vigilant people’s minds. The association of the crime is now firmly inplanted in association with the his name. However he wasn’t taken into custody regarding this but on another situation UNRELATED to this crime. Could be a failure to appear. Or an outstanding parking violation. Or jaywalking ticket. However someone at 5:18 am is looking out his/her window long enough to give an accurate description? That sounds sketchy to me. Working on that street cred. Why are you giving this guy free advertising in the crime section? i came here after listening to Tupac and 4 Tays hit song “Only God can Judge me Now” ….